The Cost: $35 for month to month subscriptions, $32.50 for prepaid 3 month and $30.00 for prepaid 6 month subscriptions. COUPON: Use code 10OFF to save 10% off your first box! 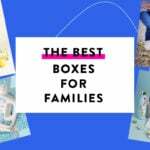 Check out the Women’s Subscription Box Directory and make sure to add calmbox to your subscription list or wish list! This month’s theme is focused on spring, shedding worries and stress, and focusing on the moment. The calmbox insert card reads, “Let’s Bloom Together”. Each month there is a new theme such as “meditation, stress relief, or living in the present moment.” The box is focused on helping subscribers live a calmer and more peaceful life. The back of the information card has a list of all the products in the calmbox. There were six items in this month’s box. The box also came with this insert which addresses their efforts to support sustainability. Also, their product list card says that a portion of calmbox’s proceeds is donated to OxFam International. I’m always happy to support companies that are mindful of the environment and that give back to others. These cards are fun to play with when you are around close friends, family or significant other. Each card has a question or statement that is supposed to spark meaningful conversation. You can find more ideas how to use these cards on their website here. I included a picture of the tin open so you could see the open/close mechanism. You push on the middle of the tin and the seal opens and then to close you just put pressure on the sides and the tin closes tightly. My husband is an industrial designer and he was so impressed! Besides the cool tin, the flavor is a lemony -not overpowering but also not very sweet. We really like these! I really like Kiss My Face products. They are very gentle but still effective on my skin plus they have no parabens, phthalates, or sodium laurel sulphate (SLS). This is a brand I feel I can really trust. This soap smells wonderful and made from 86% olive oil. Here is the list of the ingredients: Sodium Olivate (Saponified Olive Oil), Water, Chamomile, Sodium Chloride, Fragrance. This smells so good! I can’t wait to try it in the bath. Lavender is one of my most favorite smells. This is a mixture of bath salts with lavender, rosewood and frankincense. We used Traditional Medicinals a lot in our house. They have a nice flavor and a various assortment of teas to address stomach aches, sleeplessness, overall health, constipation, liver function, etc. The herbal blend in this tea is to help settle the nervous system and relax the digestive system. The lavender is a floral taste and I find chamomile slightly sweet. We’ve never used this particular tea from Traditional Medicinals but I will definitely buy it in the future. I’m having a hard time keeping my family away from these! They are slightly sweet and a bit of sour too which is our favorite. I feel better giving them these then most candies because they’re made from things I recognize: organic evaporated cane juice, organic brown rice syrup, citric acid, and natural apple flavor. They have quite a few other flavors too. Verdict: calmbox did a great job curating this box and I really enjoyed the products. I think this would make a fun gift for someone into holistic living. While I’m happy with all the products, my family has used many of them too which I think is a nice side benefit. In fact, I’m giving my husband the stress pastilles this week for his finals! The value is acceptable too. At $36.21 for the cheaper online prices (not including possible shipping cost), the calmbox value is more than the cost of the box ($35.00 for month to month). If you bought everything at retail cost then the value of this box is $40.56 plus the cost of tax (es) and/or shipping cost. I’m happy with the value of this box but would feel even better if they could raise it a bit. What do you think of the items calmbox sent this month? How do subscribers rate calmbox? 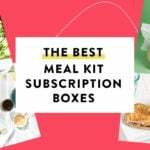 Do you subscribe to calmbox? Add your rating now! Very unhappy to see homeopathic junk in here. Science has more than proven that homeopathy does not work. To each their own. I’m sure some of the things you’re into others might consider “junk” but we’re all not insulting you. You are saying she is into junk because she believes in the efficacy of science? Science has “proven” a lot of things over the years. And at times it’s also been wrong. I appreciate boxes that have an open mind. I think some homeopathic remedies are successful. They’ve helped me a lot. I can’t say all of them work, but some certainly do and I was extremely skeptical and it was a last resort after allopathy failed to alleviate issues. Even some of my friends have eventually tried it out when desperate and it’s worked. It may not work for everyone, and all of the remedies may not work. I just mean to say that science is fluid and there is a lot we don’t understand. I’ve learned that absolutes are not always the way to live. Science, is Pluto a planet or is it something else? Science is constantly changing its mind and developing new theories and revising old ones. Science is awesome that way! I can’t really tell if you can buy past boxes. Here is their email though – [email protected]. Good luck! I think it’s a nice box. I’ve been wanting a Dive in Deck for some time now, and the apple candy is amazing. I got to try their cherry flavor as well in my Love With Food box several months back. So good!! I wonder if I can still get this box? Been debating about this subscription for months.